Sunshine Coast Electrician and Solar Power Installer - We'll Turn You On! 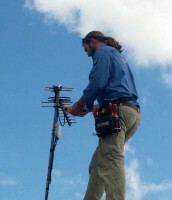 KAPE Electrical is your local Sunshine Coast Electrician and Solar Power Installer. Contact Pete for your all your ⚡️ Electrical ☀️ Solar Power ❄️ Air Conditioning  TV &  Data! Make KAPE Electrical your First choice Sunshine Coast Electrician and Solar Power Installer. Successfully established Since 2008, this local electrical business has grown to become a trusted name in the industry. We cover all aspects of the electrical industry including residential, commercial and industrial. We are also fully licensed in Air-Con, Data, TV and Solar. All General Electrical work including Lights, Power, Fans, Switchboards, TV antennas and points, Data and phone cabling, Solar Power installation repairs and maintenance, Split System Air Conditioning. Shop fit outs, Refurbishments, Electrical Maintenance and Repairs, Switchboards, Control wiring and BMS, Test and Tag, Data cabinets, Package Air Conditioning, Sign wiring and repairs, Large scale Solar Power (5kw to 100kw). Industrial – New installations and Refurbishments, Switchboards, Control wiring, BMS and automation, Electrical Maintenance and Repairs, pumps, monitoring, Test and Tag, Data Cabinets, Sign wiring and repairs, Large scale Solar Power (5kw to 100kw). Recently we renovated our rental unit. The interior was very dated and all the electricals needed replacement. I called Kape Electrical and Peter viewed the property and said he could give it a complete but affordable make over. He did everything from the re-connection of the new stove through to the replacement of the switchboard and smoke detectors – all critical things to have in good working order when renting out your property. I was out of town at the time and was pleasantly surprised to see that he also has an eye for detail and interior design, selecting stylish and modern light fittings throughout. The place looked a million dollars when he had finished. Peter’s work has definitely added value to our property which we are very happy about. Kape Electrical just installed my 5kw solar system and changed over the lights in the kitchen, dining room, lounge room and bedrooms. I also got my bathroom and toilet lights swapped over to exhaust fan/LED light combos! So impressed at how well Pete explained everything to me about how best to use my new solar system. I can now rest assured I’ve made a great investment using the best products and reduce my carbon footprint! I’ll definitely be referring you to all my family and friends! Well done! I have always been pleased with the advice and completion of work by Pete from Kape Electrical. Over the past few years, my wife and I have upgraded lights, power points, fans and have had TV’s installed in multiple areas in our home. All electrical work for our new shed and pool was also been completed by Kape Electrical. They originally installed our 5KW Solar System and since then have added more panels so the inverter has maximum impact. I’m now saving even more on our electricity costs (we’re actually in credit with Ergon!). They even installed a generator switch into my switchboard in case of loss of power during a cyclone etc. All work was done professionally, efficiently and to a quality standard at very competitive prices. I recommend this locally owned and operated company very highly. A HUGE shout out to Pete and his boys at Kape Electrical! They installed our 5KW solar system, replaced old light switches/ power points with gorgeous white Saturn Series. Added energy saving down lights in the eaves of my house, put my pool pump & air-cons on the cheaper tariff and added some more power points on my veranda. Just one visit from Kape Electrical meant all the electrical work we had wanted done for years was completed perfectly by well-mannered and well-presented tradies! Pete’s advice made a huge difference – he was super easy to understand and he happily answered my long list of questions. To top it all off, our next electricity bill was in credit and we have just received over $1000 from Ergon because of the solar system. My hubby and I are using that money to go on holidays! Hooray for solar! Thanks Kape Electrical, you are absolute champions! Discovered at the Palm Creek Folk Festival when we caught up with Pete and his wife that we had an 8 year working relationship. Kape Electrical is an electrical business that others could do well to emulate. They turn up at the agreed time and if running late they make contact to advise. There prices are fair. We have had remedial work conducted (not Kape’s), solar panels sorted (that were installed by a business now out of business), tariff changes, fans and the list goes on. No job too small. Further they came up with solutions to our electrical needs that were workable and efficient. I have no hesitation in recommending Kape Electrical. Keep up the good work and positive attitude. 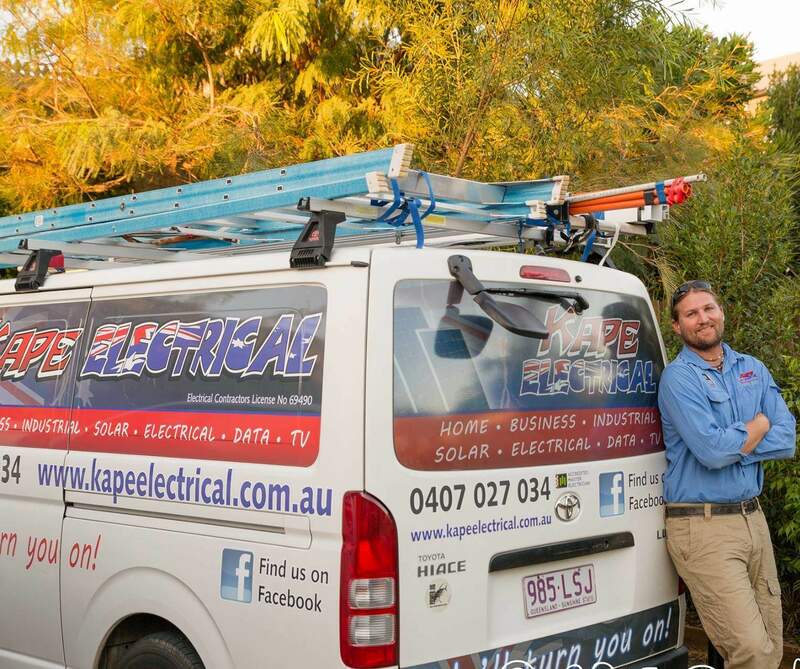 I would highly recommend Kape Electrical for any work you need done. Pete is honest and fair and had some great advice when we purchased our Queenslander. We had some wiring redone and all new television and phone outlets installed. It was a lot easier than having three different companies onsite and worked out way cheaper. Super happy with the work done at my place, timely at a competitive price. Friendly, clean and tidy, left no mess whatsoever and answered all my questions with great advice or alternative ideas. Have recommended Kape Electrical to friends without reservation and will use their services again. Very impressed with the work Pete did for us in modernising the dated electrical fittings and fans in our old home . . . and he turned up on time!! Thanks Pete, very happy to recommend your services! I love all the new Fluro lights and LED down lights Pete just installed – energy saving and money saving! Can’t wait to do the whole house now! Thanks heaps Pete, love your work! Thanks Kape Electrical for installing 25 brand new LED down lights, they are so bright and awesome! Plus thanks for all the other electrical work you did. Great service, efficient, no time wasting, reliable, friendly, professional and on time to job site. Happy to support a local business. Pete and his crew were amazing to deal with. Everything was explained perfect for us to understand. Thank you was a pleasure and our house looks perfect turned on. As you know when employees are wearing work shirts with your logo, they are representing your company, whether on work time or personal time. This afternoon at approx. 3:30, my daughter and I were at the Garbutt RTA. Sitting in front of us, in the chair closest to the door, was a young man wearing a Kape Electrical shirt. An elderly man came in using his walking stick. What we saw next shocked the both of us! The young man got up straight away and offered the elderly gentleman his seat!! He then went and sat in a seat further down. This young man is a credit to your company and to all young people. This act of selflessness and compassion made my year. Proffesional work done to our renovated home. Pete has had to fix up the stuff ups from others that have worked on the house before we bought it. Highly recommend this business. Kape Electrical did terrific work at our home installing a ceiling fan, checking light fittings & advising & replacing our money hungry light bulbs with energy efficient ones. Pete gave great advice on how to reduce our electricity bill & improve our solar situation. Feels good to know we’ve reduced our carbon footprint & our electricity costs. Thanks Pete – on time, professional, great customer service & well-priced. Highly recommend Pete and the Boys at Kape Electrical. Great service and great job done! Thanks Pete. Electrical Safety is always a priority for Pete from KAPE Electrical. Call Pete to ensure you get the right advice, the right product and also the right price every single time. Don’t risk using unlicensed, uninsured or inexperienced tradesmen on your home or business. It’s just not worth it! Don’t wait for an invoice in the mail. 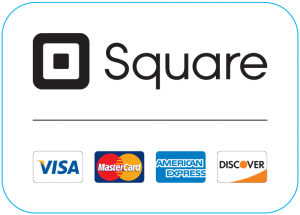 You can easily pay securely on the day with your credit card using our Square Reader.